Preparations for the test took me and the company Thrax Audio more than half a year. 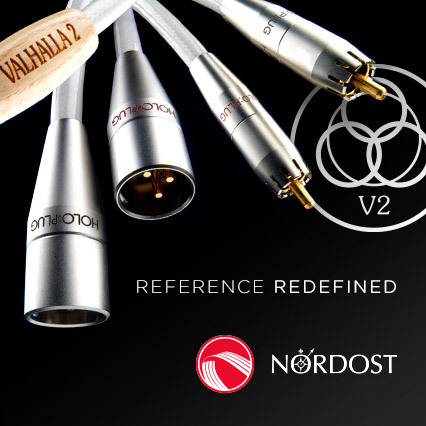 When I saw their products for the first time during the High End 2010 in Munich, I knew I need to listen to them. Those were big tube monoblocks, with triodes in the output stage, resembling Ayon tubes, packed inside a splendid crafted enclosure. After returning home I wrote an email asking to borrow the units for testing. Currently we have three products, just as you can see on our web page. 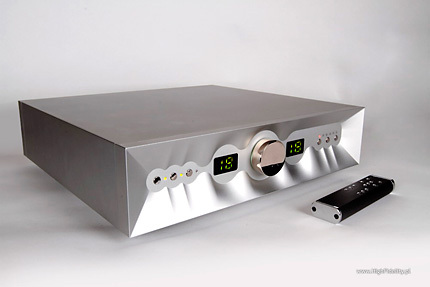 And in production and sales there is only the Dionysos preamplifier. The monoblocks Spartakus should be ready in the third quarter of this year, and the phonostage Orpheus probably in the fourth quarter. Because the development of those products takes lots of time, we decided to present pre-production samples to a few people, and we are now booked full with orders. Our production capabilities are fairly limited, and we would prefer to have our friends listen to the products first, because then we will have trustworthy feedback. Taking all this into account, we think, we can send you our preamplifier for testing at the end of July. As usual in such cases, “end of July” moved by a few months, but one afternoon the courier brought (not on his own, first I had to file a complaint, because the courier did not want to carry the box) a nicely looking wooden box, with the preamplifier packed inside. This is the way all audio products should be packed – not cardboard boxes, which change into something not even looking like a box after just one shipment – but something sensible, what would really protect the load. On the top of the box there is a milled (or burned – I do not know) logo of the company. I really liked that. The preamplifier itself turned out to be equally interesting. The pictures on the web page do not show even a shadow of what the Dionysos is in reality. A proud name, which could be a synonym for “beautiful”, does not lie. The unit is sleek and made completely from milled, thick aluminum plates, bound together in such a way, that no bolts are visible. This is a fully tubed preamplifier, with a tube rectifier 6C4P-EV (6Ц4П-В), a tube voltage stabilizer SG15P (СГ15П) and a tube amplification stage made from one tube – a double triode 6N6P (6Н6П), where each half works in a separate channel. And when I say, that volume is controlled by transformers with switchable windings, then it turns out, that it is a very similar solution to the one used in my preamplifier Ayon Polaris III. Different to the Austrian device, Dionysos is very user friendly, because it has a display showing the volume for each channel, separately for the left and right channel, it has balanced inputs and outputs (de-symmetrized and symmetrized in transformers – the circuit is not balanced), a bypass input, a record out output (can be used for a headphone amplifier), absolute phase inverter, which can be set and stored separately for each input, etc. Everything is microprocessor controlled. And it is small – my Ayon consists of two large units. Please call me to discuss a few issues – this is important, because our products are not “universal” and require some knowledge and experience. To give you an example, I just say, that the amplification of the preamplifier is max 20dB (x10) and the available attenuation is 52dB (in 24 steps!!!). So in combination with a classic CD player, with 2V output and a classic power amplifier, with a rather high sensitivity of 0.5V the usable attenuation will be limited to 10-12 steps until the sound gets too loud. But when connected to a power amplifier with a sensitivity of 4.5V (like some Krells), then it will be ideal. The same thing is true for our other products. Our power amplifiers need 4V on the input to reach full power, and have rather low input impedance. This is the reason, that anemic preamplifiers, based on ICs for example, can have problems in driving them. Yes – this is a problem. Unless you have a CD player with variable output, like my trusty Ancient Audio Lektor Air. I could lower the voltage on its output and adapt it perfectly to the preamplifiers sensitivity. Even if the sensitivity of the power amplifier I used in the test Tenor Audio 175S has the quite high 1.3V on XLR inputs and 1.5V on RCA inputs. But you have to remember, that this is still a device difficult to apply, and it will fare best in a system with a power amplifier with low sensitivity, because only then low noise of the system can be exploited. Brenda Lee, Let Me Sing, Decca/Universal Music Japan, UCCC-9111, CD. David Sylvian, Secrets of the Beehive, Virgin/EMI Music Japan, VJCP-68879, CD. Jun Fukumachi, Jun Fukumachi At Steinway (Take 2), Lasting Impression Music, LIM DXD 038, silver-CD;. Tori Amos, Boys For Pele, EastWest/Warner Music, 80696-2, CD. Joe Pass, For Django, Pacific Jazz/EMI Music Japan, TOCJ-90027, HQCD. Brian Eno, Another Green World, Virgin/Toshiba-EMI Limited, VJCP-68658, CD. 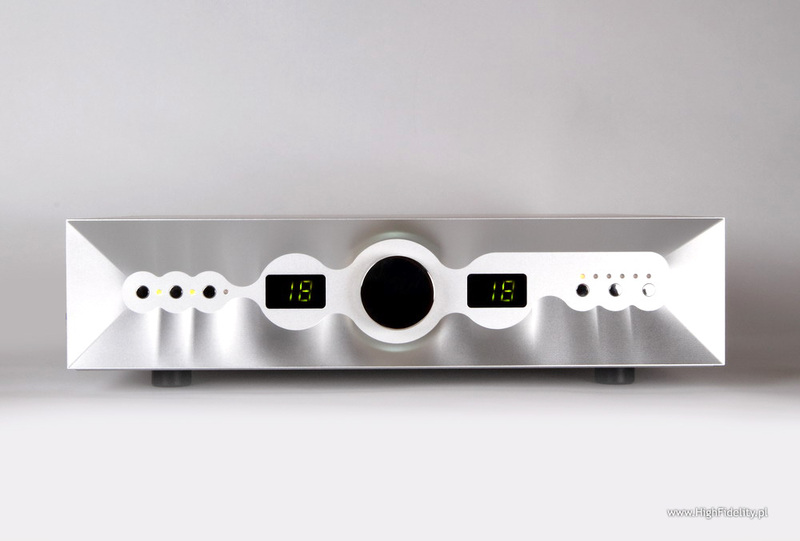 The Bulgarian preamplifier is one of the best devices of this kind I heard in my system (and not only in my system, but I have absolute certainty only when I am talking about my system and controlled listening conditions). This is the same league as CAT SL1 Legend or Ayon Audio Polaris III, what speaks for itself. The listening session of this device took longer than usual, because I needed to employ a different methodology than with cheaper components, or those, that give their personality easier away, and of which I can describe the sound easier. In my reference system I exchanged my Polaris III for this preamplifier for four weeks, and I made tests for “Audio” using the Thrax. I tested, among others, the DACs (Pro-Ject Box USB, Audinst USB DAC HUD-mx1, Musical Fidelity V-DAC, Arcam rDAC, Cambridge Audio DacMagic, Xindak DAC-5, Stello DA-100 Signature, Music Hall dac25.2, Wavelenght Proton, Mytek Digital Stereo96 DA, Cary Audio Xciter DA, Benchmark DAC-1 PR, Naim DAC, CEC DA-1N; test was published in the issue 11/2010), the power amplifiers (Balanced Audio Technology VK-255SE, Mark Levinson No.532H, Pass Laboratories XA60.5; test was published in the issue 12/2010), and finally the integrated amplifiers (Atoll IN400, Luxman L-507u, Mastersound Compact 845, Pathos Acoustics InpolRemix, QUAD II Classic Integrated; test to be published in the January issue). It was a lot of work, but it was successful. In all those tests the Dionysos was used as a reference device, or was part of the system I plugged the devices into. It never failed me. And then I listened only to it, exchanging it for the Polaris III. The tonal balance was set splendidly in this device. The sound is very well balanced, better than in most solid state preamplifiers, which often imitate tubes (Accuphase C-2810 or Luxman C-1000f – those are not bad, they are splendid, but I wrote about this trend while those were reviewed), and also better than in the tube preamplifiers I listened to lately. Sadly including my Polaris III. The sound of Thrax is very open. It is not “electronic” in the way we perceive hi-end preamplifiers from 10-20 years ago today, this is a much more organic, closer to what I hear from systems WITHOUT a separate preamplifier, with the volume control integrated into the CD player, as for example in the Ancient Audio player. Like I said, this is an open sound. The upper treble, problematic in cheaper devices, because it is either glassy or annoying – those are cases, where the designers wanted to get an open sound at all cost – or damped and warmed – where those problems are tried to be remedied by withdrawing this part of the frequency spectrum, here is brilliant: precise, expressive, but without a trace of brightening, without perceptible distortion (at least I could not find and name them). 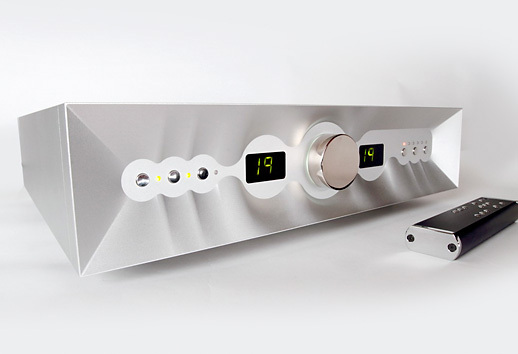 This allows the preamplifier sound in a very dynamic and expressive way. And again – expressiveness on this quality level does not mean coloration or irritability but showing the events in a more verbatim way – like it is reality. This is aided by splendid dynamics, which allows for what I described before. Because the biggest problem of our home equipment is not even that it has bad timbre or lacks resolution, but that it sounds like a cardboard box – lifeless, choked and muffled. Anyone who heard a live concert – amplified or acoustic – feels that: the live sound is completely different to the one coming from the loudspeakers. And we should get used to the idea, that we will not surpass that, that the size of our listening rooms, as well as electronics and loudspeakers we use, cannot reproduce that event. But we cannot forget about that. We have to try and fight the problem. Dionysos shows, that much can be done in that aspect and that most other preamplifiers compress sound – to a bigger or lesser extent, but they do compress. The tested preamplifier shows the sound in a very direct way. When on the disc For Django, in the title track, Joe Pas guitar enters, it electrifies us immediately. This is helped by a good edition (HiQualityCD) and good recording, but with other preamplifier the sound was not as exciting. The shape of the guitar was reproduced very well, as were the contours of the percussion. I had the same with the pieces opening the disc Boys For Pele Tori Amos, recorded “clean”, without using any overdubs, in one take, using Leslie and Marshall amplifiers for the harpsichord and piano. The instruments had a very large volume, one I would not expect from a guitar amplifier. It was warm – that was the timbre set on the amp – but it was not muddy sound, it was not even warmed. It had a very direct attack, it vibrated with emotion and transmitted the acoustics in which it was made to my listening room. A part of the puzzle is the higher than usual resolution and differentiation ability. Here the Dionysos – an I am speaking about my experience here – can compete only with a combination of variable output of a player with a power amplifier. Reading this, you should remember that I do not know all the preamplifiers in the world, and for example Soulution 720, or Kondo M-1000 MkII could show me something, I have no idea about. But I must base on something, and this something is my experience. And comparison with a CD – power amplifier direct coupling, without a preamplifier. And both elements tell me, that the Dionysos is a special case of a preamplifier, which is incredibly resolved, tonally open and at the same time keeps organic sound, not castrating it from harmonics and not brightening it. The opposite part of the sound spectrum is also noteworthy. The bass is incredibly strong, full and dynamic. It has power, if needed it is fleshy, and if the recording requires it, it can almost not be heard. Usually it is somewhere in the background, and the midrange and treble are built atop of it (please look at the experiences in “Hi-Fi+”), but it like a crouching tiger and hidden dragon. I heard such good lower bass only once at home, when I tested the set Krell EVO222+402. But it had to be a set, because the preamplifier and power amplifier EVO alone were not as impressive. Anyway the Dionysos repeats this experience, building the mood splendidly, taking everything into a different dimension, seemingly apart from everything else what surrounds us. And it is not about pounding. Yes, the club mixes of Yoko Ono songs from the disc Open Your Box sounded great, had a splendid support, rhythm and dynamics. But for me more important was the way, how this springy and strong bass allowed to built everything above it, the vocals, trumpets, guitars, etc. Let’s take for example the disc Jun Fukamachi At Steinway (Take 2) recorded in the Direct-To-Disc technology (I’ll just remind, that this is not about recording on a classic carrier, meaning tape, hard disk, etc, but directly on the master, that will serve to press vinyl discs – this is the most perfect way of going from microphone to vinyl), or rather its digital representation, a CD prepared by the company First Impression Music, issued on silver. The owner of the original Direct-To-Disc mastered vinyl is Mr. Winston Ma, the owner of FIM. He transferred the signal from the turntable to a digital recorder working in DXD technology, 24 bits and 352,8 kHz. The signal was then transferred to 16/44.1, but still splendid sound was achieved.